The Asian Tour, the continent's most prestigious golf tournament, is starting its season in Burma for the first time on Thursday. The competition's ninth season will commence with the 11th Myanmar Open, which returns to the tour program after a one-year absence. The tournament is scheduled from Feb. 2 to 5 in Rangoon. Four-time Asian Tour winner Japanese Tetsuji Hiratsuka will be defending his 2010 title against 144 contestants from 25 countries including a dozen multiple tournament winners. 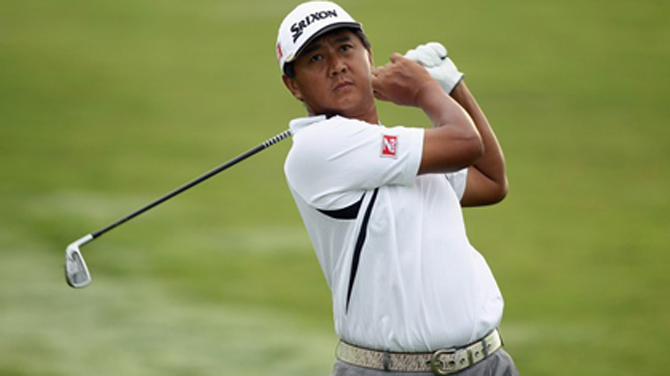 Burmese 1997 Asian Tour champion Zaw Moe will be looking to regain his old crown. “It’s always special to play in front of your home fans. I’m looking forward to it and I will be ready to give my best,” he told Asian Golf Daily. Twelve-time Asian Tour winner Thaworn Wiratchant and Indian hopeful Gagnjeet Bhullar are also participating. The prize fund totaling US $300,000 is on a par with the ensuing tournaments in the Philippines, Cambodia and Thailand. First place receives a whopping $47,550 in prize money. The Myanmar Open will be held for the first time at the recently opened Royal Migalardon Golf and Country Club in Rangoon. The club is part of the Mingalardon Garden City suburban housing project which has been built by construction company Zay Kabar—the tournament's main sponsor along with national air carrier Air Bagan. It is understood that Zay Kabar started the project in 1998 but has faced difficulties with the finishing touches until recently. A soft opening was finally held last year. The project cost $12 million according to HKGolfer, an industry magazine based in Hong Kong. Zay Kabar’s chairman is real estate mogul Khin Shwe, who is also chairman of the Myanmar Tourism Board and a member of the Upper House of Parliament for the ruling Union Solidarity and Development Party (USDP). Khin Shwe said that he hopes to promote tourism with the event in a press release. Hosting the kick-off of the Asian Tour has a particular significance for its international organizer. Burmese former professional golfer Kyi Hla Han is the executive chairman of the Asian Tour. “It will be a good opportunity for the Myanmar players to test themselves against Asia's top stars,” Kyi Hla Han said in a press release. Kyi Hla Han won the Nations Cup along with Aung Win in 2003. He was awarded the Lifetime Achievement Award at the Asia Pacific Golf Summit 2011 in November. British colonial settlers brought golf to Burma more than a century ago. Yangon Golf Club dates from 1909 and has operated every year since except during the Japanese occupation of World War II. The Burma Golf Club, now Myanmar Golf Club, was founded in 1947 in reaction to locals being barred from playing at the colonial Rangoon (Yangon) Golf Club. The Myanmar Open was inaugurated in 1996. But it was interrupted between 2006 and 2009, resuming in 2010 and then pausing for another year until now. Golf is a sport for the very rich, even in countries like the UK. Less than 0.1% of the population of Burma can afford to play golf. 0.1% of 50 million is 50,000, no? but who cares about the poor 99.9% in Burma anyway.